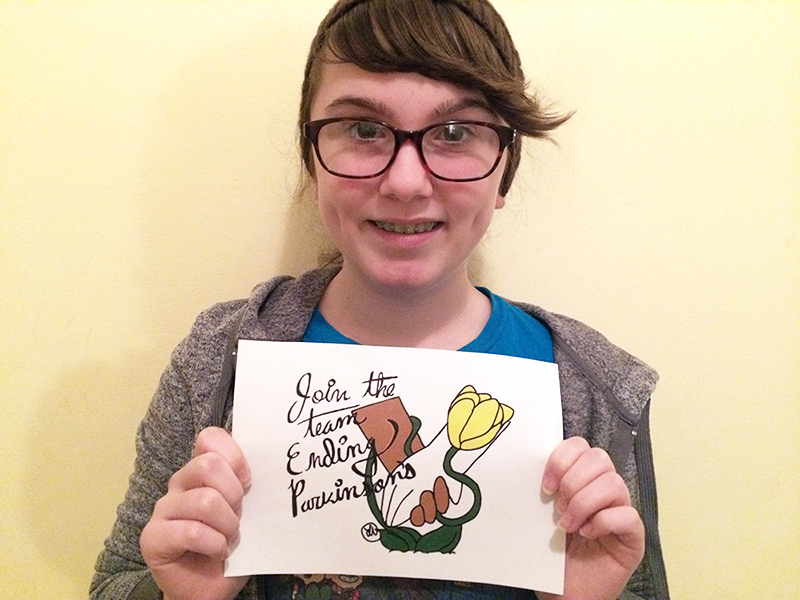 A thirteen-year-old has won the annual Parkinson’s Disease Foundation kid’s T-shirt design competition. This year’s winner is Lea Dempsey of Princeton, New Jersey, US, whose design features two ethnically diverse people holding hands entwined by the Parkinson’s tulip. The tulip has been international symbol since 1980 when Dutch horticulturalist with Parkinson’s, J W S Van der Wereld, named a new tulip after Dr James Parkinson. 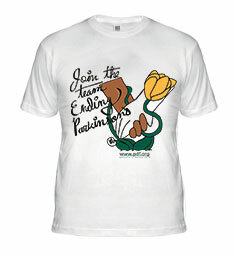 The T-shirt design contest, which is open to all five- to 15-year-olds, is run annually by the US-based Parkinson’s Disease Foundation. 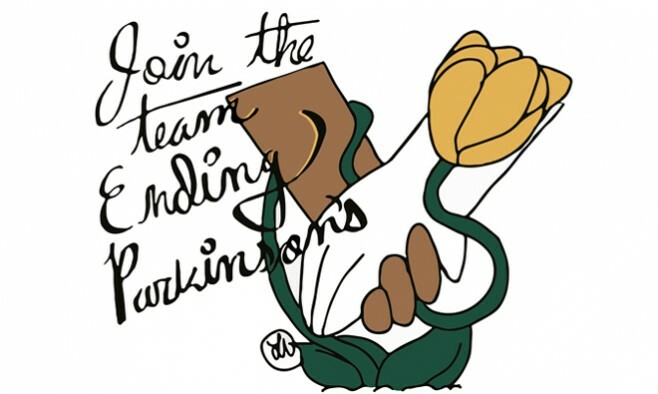 The slogan for 2016 is ‘Join the Team Ending Parkinson’s’. Lea’s design was one of 20 designs entered into the competition and her winning artwork was chosen by the general public in an online vote. “My grandfather was the kind of person that would always help someone in need. He was a very artistic man and I got my inspiration from him. I think he would be proud. This is the first time I’m putting my art out there and I’m proud to see my design help raise awareness of Parkinson’s disease,” Lea added. The T-shirt designed by Lea is now available for pre-order from the Parkinson’s Disease Foundation in time for April, Parkinson’s Awareness Month. Previous winning designs are also available from the Foundation’s online shop.